The most iconic and famous weapons of their time are not always the best or the most practical. However, this is a list of weapons in which each one was so far ahead of the competition, that soldiers in the battlefields of World War II would jump at any opportunity to capture an enemy that had them, even dumping their own equipment in favor of the new weapon. These American knives were the favorite ones for the Allies, but as American soldiers got captured, they became one of the favorite knives for the Germans too. What set them apart was their durability, since they were made from high carbon steel, which made them retain their sharpness after punishment that would have long since dulled a stainless steel blade. They were so hard and sturdy, that they were used to open wooden supply crates instead of crowbars, and they were also used as can openers. Another advantage was that the knife was full tang, meaning that it was made with a single piece of steel. Fighting a war for years on unforgiving terrain can rot most knife handles off, but if that happened with this knife, one could still grip it by the metal handle that was a prolongation of the blade itself. According to KA-BAR, the name was originally given to their line of knives in the early 1900’s when their company, that was called Union Cutlery back then, got a letter from a hunter thanking them because he survived an encounter with a grizzly bear, killing it with his Union Cutlery knife. The writing was smudged by the rain, and the only letters clearly discernible were K A Bar, so they decided to name their whole knife line after it. 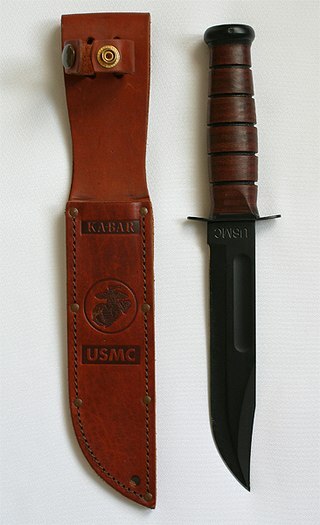 The KA-BAR knife was the most popular knife of the US Marine Corps during and after World War II. Both the Luger and the Browning “Hi-Power” shot 9mm rounds. 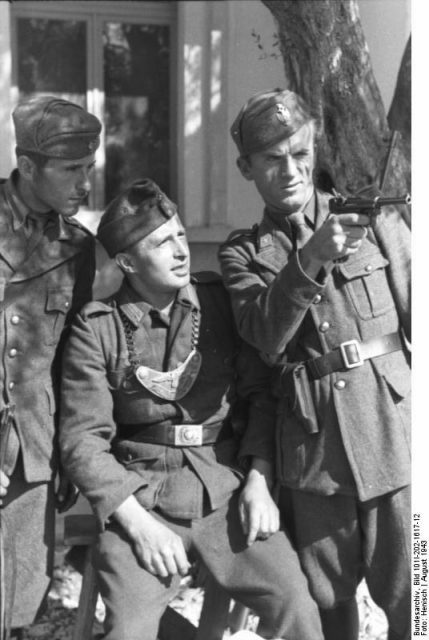 While the Luger was very sensitive to dust and dirt, and had to be carried in a fully covered holster, the Germans didn’t make a fuss over it. During the war, several thousands of them didn’t have interchangeable parts because their manufacturing process was finished by hand after the Allies bombed the factories producing them, so repairing them on the field was an issue. 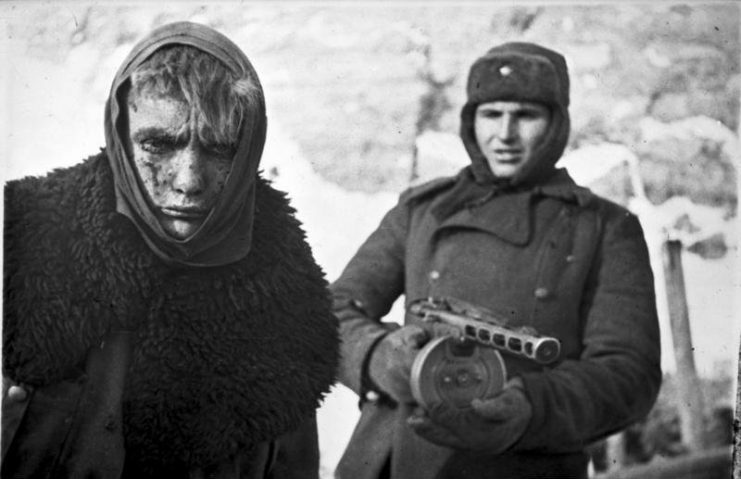 But do you know what the Germans, or any other soldier who got their hands on one of them, loved most? Their stopping power and precision was unparalled, the best of any other pistol hands down. And as a bonus, they loved its beautiful design. What about the Browning Hi-Power? It was a simple, easy to disassemble and maintain, reliable semiautomatic pistol, and what set it apart from the rest is that it rarely jammed and it had a large capacity magazine that held 13 bullets. 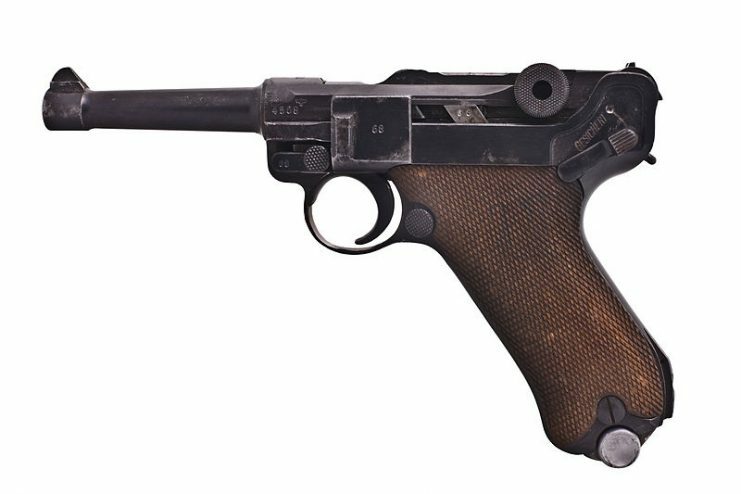 In comparison, most guns held only 8 rounds, including the Luger PO8. The Russian-made PPSh-41, called “Papashaw” by the Allies, could be manufactured by workers with almost no experience, and its cannon barrels were often repurposed from old Mosin-Nagant rifles. Since all SMGs were meant to be used to “spray and pray” at close range, what soldiers wanted was a gun in which the mechanism was simple and that wouldn’t jam while in a pinch. This one fired 7.62mm rounds and was as simple as it got. It could be fired by people with little training and it could work for years without cleaning. What about the Thompson “Tommy Gun”? Well, this was an iconic gun that was made famous by Prohibition era gangsters, and while the drum magazine was clunky, it sure was awesome to be able to fire 100 rounds into the enemy on full auto. But the drum loaders made the gun too heavy to aim from the shoulder and the reloading process too slow, so the later models came with a 30-round .45 ACP Parabellum magazine. 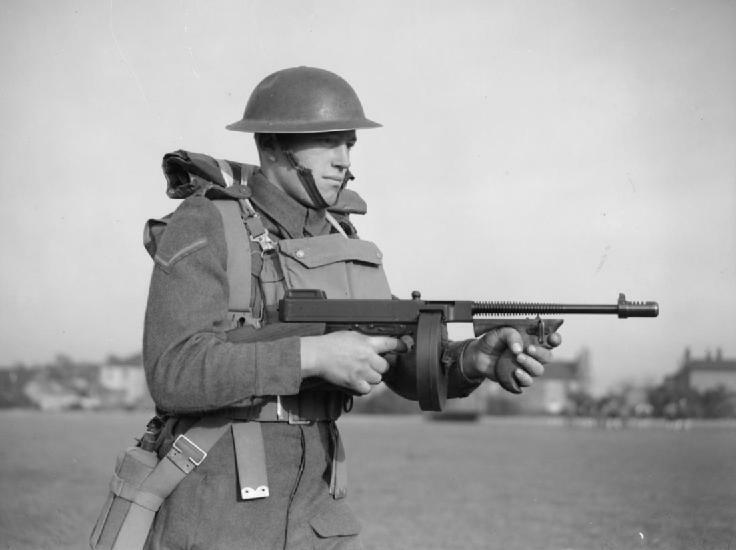 The best thing about the Tommy Gun was that one could shoot an entire magazine using their shoulder as support, because the gun was so well balanced that it had only a little recoil. Its accuracy was not too bad either, making it the preferred choice for up to nearly 500 feet away from a target. The accurate and reliable Garand had a faster rate of fire than most rifles, in a time when really powerful chambered ammunition was always fired by bolt action rifles. When the war started, most countries only had single fire bolt action rifles. 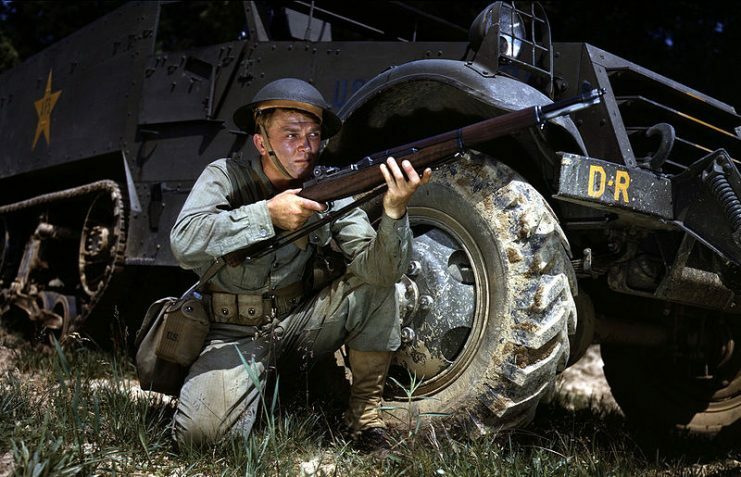 The Garand used its own gases for cycling the round and had an “en bloc” loading mechanism, in which both the cartridges and the clip were inserted as a unit into a fixed magazine within the rifle. It was more efficient than loading each shot separately, and it could fire 8 shots of .30-06 Springfield ammo in quick succession and with an excellent accuracy up to nearly 1,500 feet away. Even though there were several models of submachine guns around, they were so inaccurate that firing them at a target at even a medium range would be a waste of ammunition. That is why battle rifles were still widely used. Since modern assault rifles did not exist during WWII, automatic weapons were a necessity for laying down heavy fire. 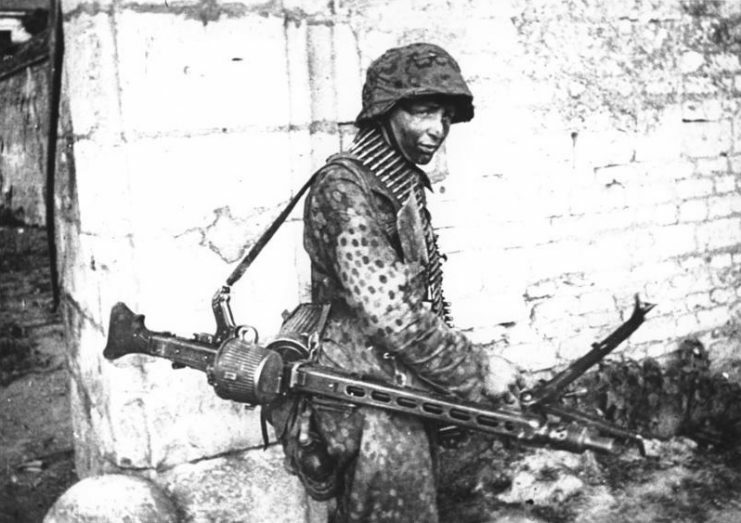 The MG-42 was called Hitlersäge, or “Hitler’s bone saw” by the Germans. It was a belt-fed German marvel which eclipsed all other machine guns with its 1,500 rounds per minute rate of fire, which was totally unheard of at the time. This weapon was very versatile, and came with a bipod for close range fights and a tripod for firing at a distance. 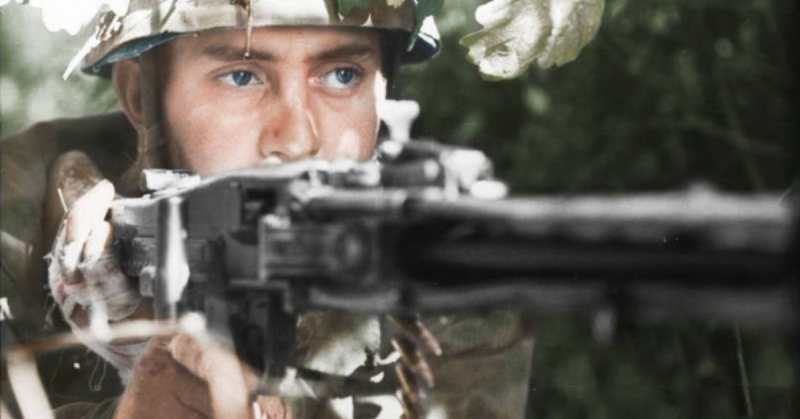 It could even be turned into an improvised anti-aircraft weapon, able to make short work of any light aircraft while spitting its 7.92x57mm Mauser rounds–a role in which it was so effective, that attachable anti-aircraft sights for the MG42 became part of its standard kit. The gun was also easy to service and clean, and should the need arise for the barrel to be changed, it could be done in mere seconds by the gun’s crew. This weapon was so powerful that German front line riflemen played a supportive role to machine gunners, who held the most devastating firepower on the team. Of all these weapons, some of them are still in use nowadays. 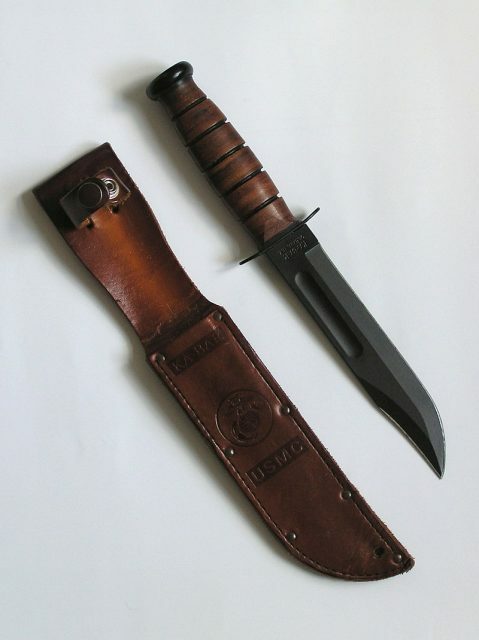 For example, many American soldiers still use the original KA-BAR knives they inherited from their grandfathers. 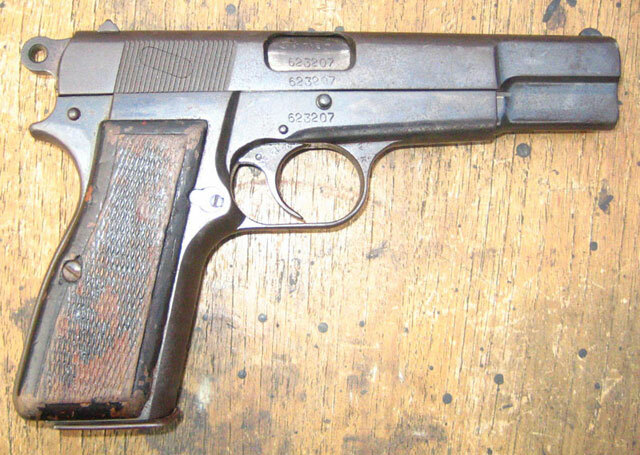 The Luger PO8 pistol remained in use by police forces in France as late as 1970. The FN Browning GP-35 is still being manufactured under license in Argentina for its police forces. The PPSh-41 was given by the Soviets to communist guerrillas and was used during the Korean War. The Thompson 1921 model was used by the FBI until the late 70’s. The M1 Garand rifle is still used in some shooting competitions nowadays and has become the ceremonial rifle in most military parades. 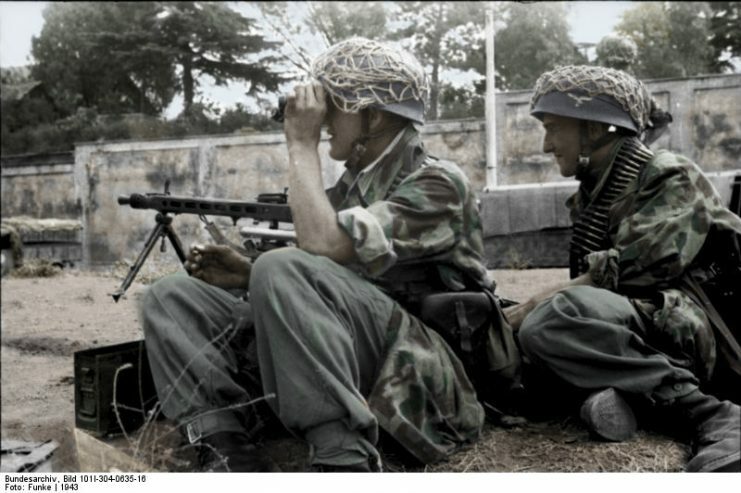 The MG-42 was used in the civil wars in Croatia and Bosnia, and its offspring, the MG-3, is currently used by many armies around the world.